/ How Do I Insulate A Window From Cold? 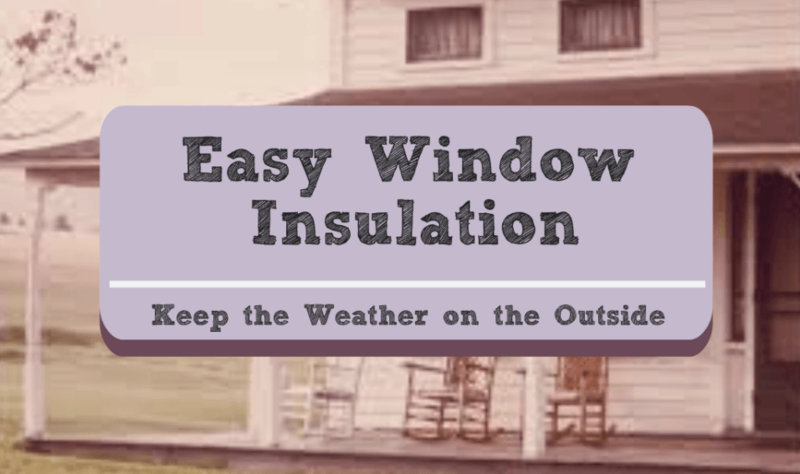 If you live in an old house, or have old windows that are old, these old windows can be a major source of heat loss in the winter months and window insulation can help tremendously. 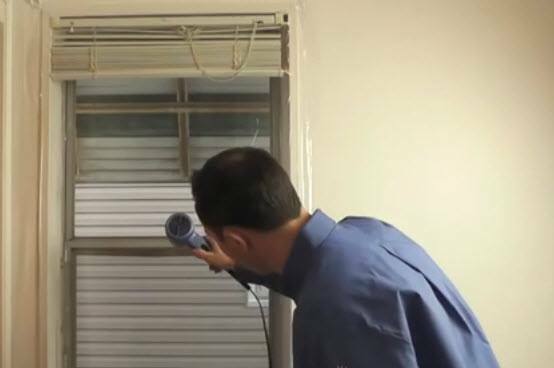 A simple, inexpensive ways to reduce heating costs is to apply shrink wrap plastics to the windows. To insulate a window from the cold in this manner you can reduce your heating bill by up to 30% and may cost less than $10 per window to do this. My grandparents had a 1860s old farmhouse in Upstate New York and they had huge 8 foot windows. It was too expensive to replace those windows with double panes so instead insulated their windows every winter using shrink wrap plastic, and it didn’t interrupt their magnificent view of their red barn or the dormant garden in any way. At the end of the winter, they would take the plastic down and begin their spring cleaning. Go to your local hardware store and get a window insulating kit. It will come with double sided tape and shrink wrap plastic. This will provide a see-through second layer that blocks out drafts and keeps cold air from coming in. 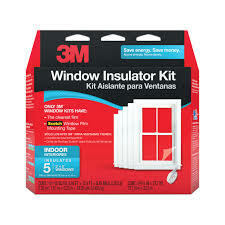 The window insulating kits can be purchased for as little as $8. More expensive kits will provide thicker plastic and will hold up better. For a really low budget alternative – clear plastic dry cleaning bags and duct tape. These bags, however don’t shrink like the plastic in the window insulating kit so it will not look as nice, and may even make noise with wind coming in from the exterior windows. 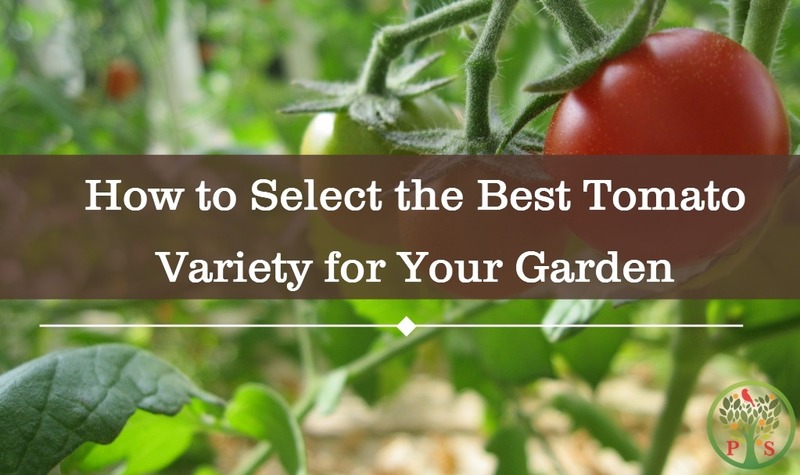 You will still get energy savings, though, by doing this. Just slit open the bags, cut them to size and tape them over the windows. If you have bubble wrap from a recent purchase, this serves as a great alternative too. 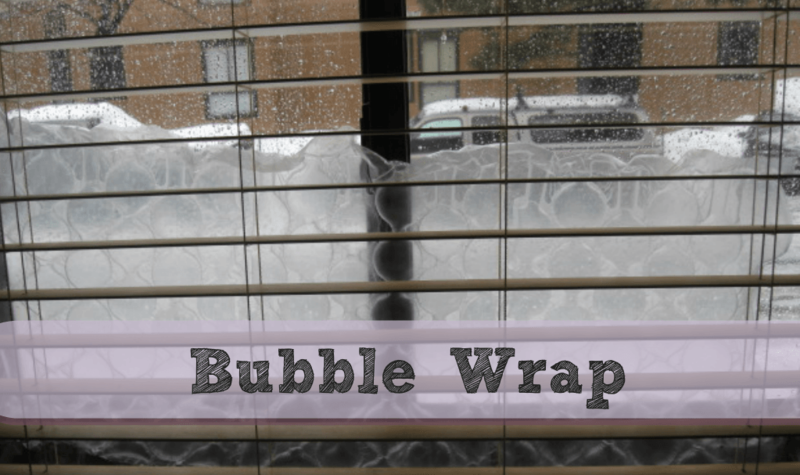 Bubble wrap actually works as a great insulator but the individual sheets should be taped together so they can climb up the window sill without falling down. If you don’t have enough, a little bit will go a long way to reduce the air flow from the bottom of the window. The steps below provide guidance on how to use the window insulator kit. If you don’t have a kit then either purchase double sided tape and use clear plastic or go with the bubble wrap option and some tape to keep the bubble wrap sheets together. Wash and dry your windows and sills. The double stick tape won’t still well to dirty surfaces. 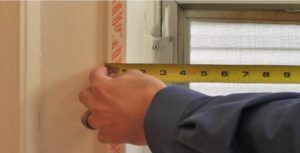 Measure the outside of the window sill where you want to put the plastic. Measure the window opening from the sill. The plastic can be applied either inside of the window treatments, or outside of the sill. If you are using the Window Insulator Kit, cut the plastic a bit bigger than the width and the height, leaving room for error. You can always cut the edges later. Remove one side of the double sided tape protective cover and apply the tape to the molding around the window sill, but not to the wall. Do one side at a time and apply to top, bottom and middle windows sills or molding. Once applied remove the other side of the tape covering to expose the sticky surface where the plastic will be applied. Apply shrink wrap film to window sill. This is the trickiest step. It’s best to have two people do this in order to get a good fit the first time. A short step stool or chair will help with reaching to the upper window sill. Take the top corners of the pre-cut plastic shrink wrap and, starting from the top of the sill, stick it to the double sided tape. Make sure that the plastic wrap is level since if it is crooked when you apply it, the shrink wrap will not fit properly on the window. 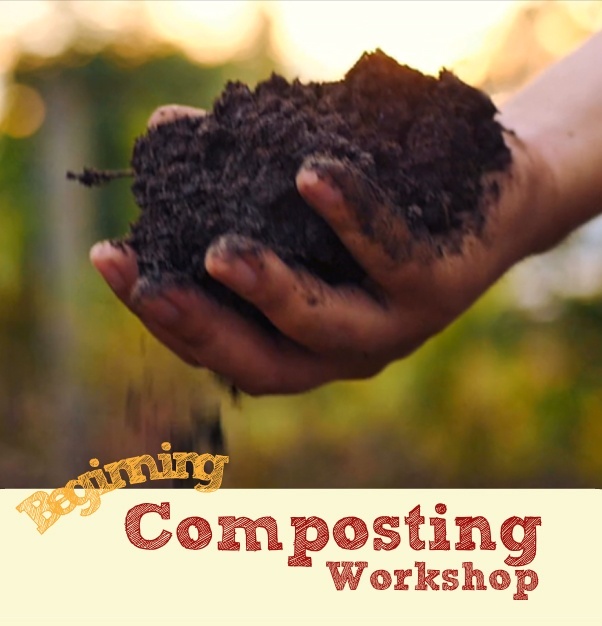 Start with adhering it either to the sides first, then the top, then the bottom, or start at the top first and then adhere the other sides. Press the plastic firmly onto the tape for a good seal. Apply heat to shrink plastic film. The take your hairdryer and using side to side motion wave the heat source over the shrink wrap. You will see it shrink. 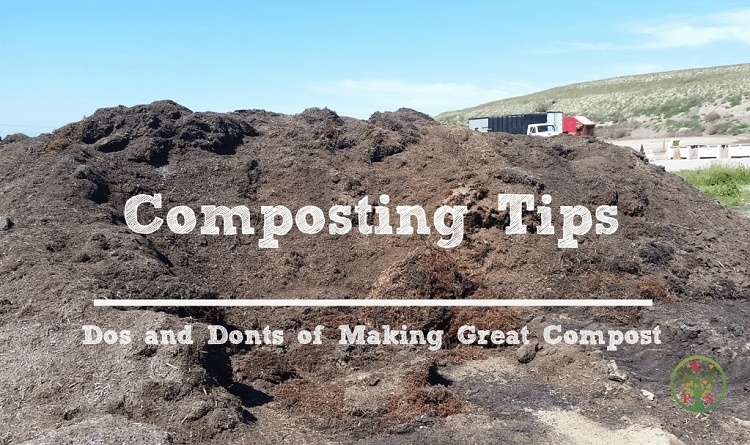 Be sure not to leave the heat in one place for too long since it will cause uneven shrinking, and may even melt the plastic. The end results is a double paned, inexpensive way to insulate your windows from cold in the winter months. If you live in a hot climate, this will work too in insulating your windows from heat. For more DIY home projects, check out our Living section.